Long time, no blog. Oh lordy, I disappeared from the world of blogging for 10 days and I felt so lost. 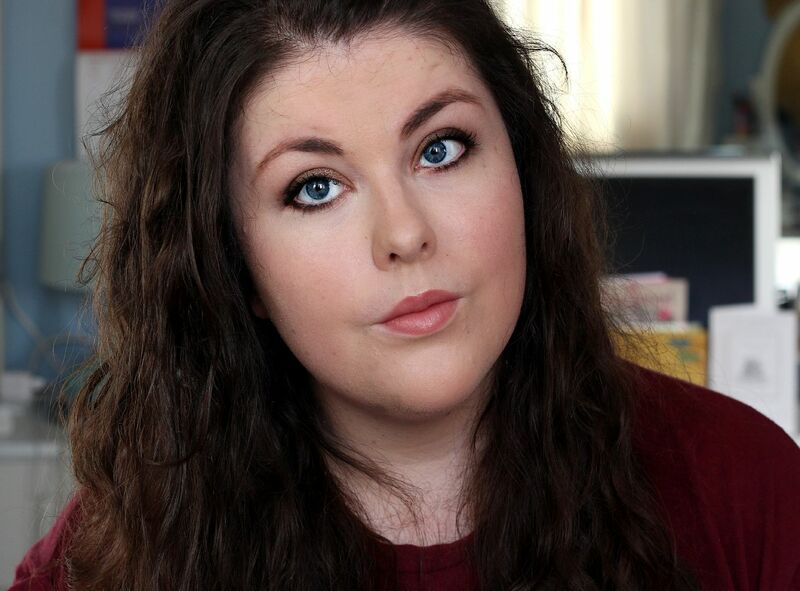 I had my reasons – I had appendicitis, which was initially misdiagnosed, which led to complications (ughhh) and then I felt generally crappy and ohmigod all kinds of tired even though I’ve been having 12 hours sleep at night. Surgery can do that to you, I guess. I had some blog photos all waiting to be turned into a shiny new blog post, which I am thankful for. I can’t even imagine putting on makeup and feeling nice right now, let alone trying to capture the said makeup on my face in a reasonably attractive pose. So gross. Don’t even get me started on getting products and laying them out to photograph, and edit, and all that. It’s just so much effort. This was freakishly hard to capture on camera – but little stars everywhere! I love. Anyway… I’m feeling slightly more alive, and want to blog! And blog I shall. 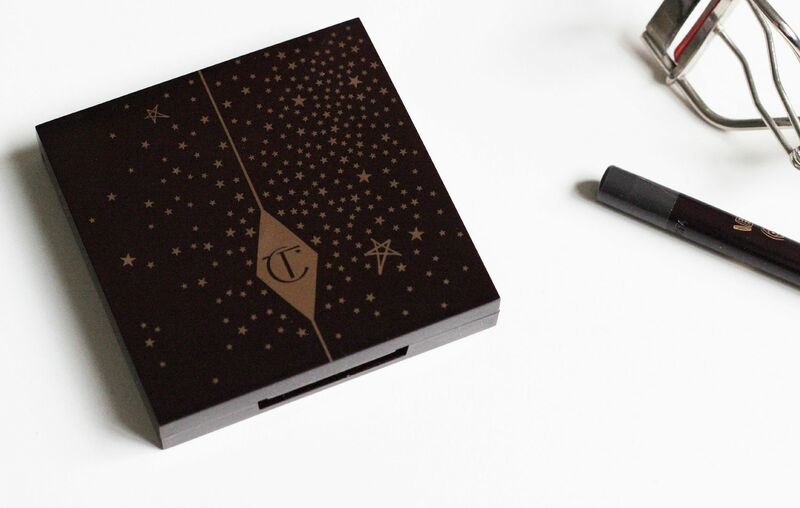 All about the newest Charlotte Tilbury Fallen Angel palette, which I believe is limited edition. This palette was designed by Charlotte (I think we’re on a first name basis now) to give everyone a supermodel look, which I suspect has been heavily influenced by the supermodel craze from the 90s. 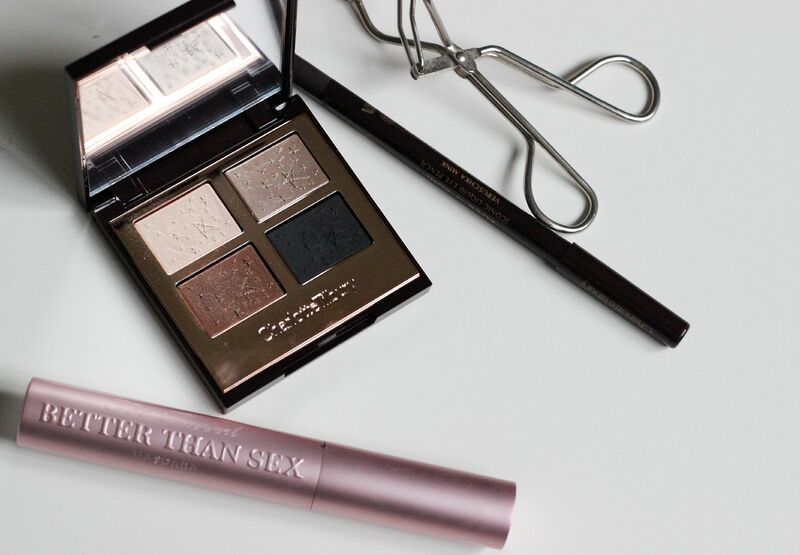 It’s supposed to be the creme de la creme of smokey eye palettes, and one that will make everyone look amazing, basically. Yuh, I’m sold. 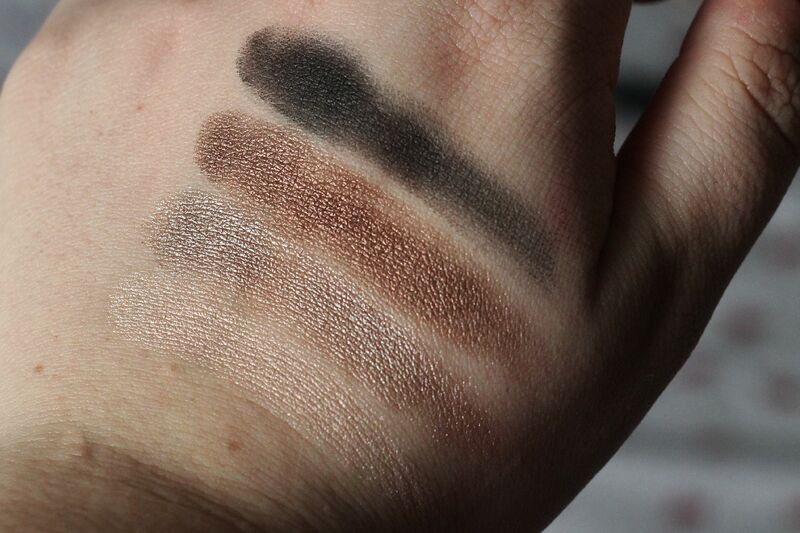 There are 4 shades in the palette – a champagne, a pewter, a bronze and a matte-ish black. The bronze is my favourite, and is just so pretty – all rich and chocolate-y. None of these shades are brand new, or so remarkable that you don’t have dupes in your stash. C’mon. I know you do. The little combination of these 4 shades is pretty perfect, and has definitely been well thought out – you can use any colour individually, or mix two/three together or use them all in one killer smokey eye. 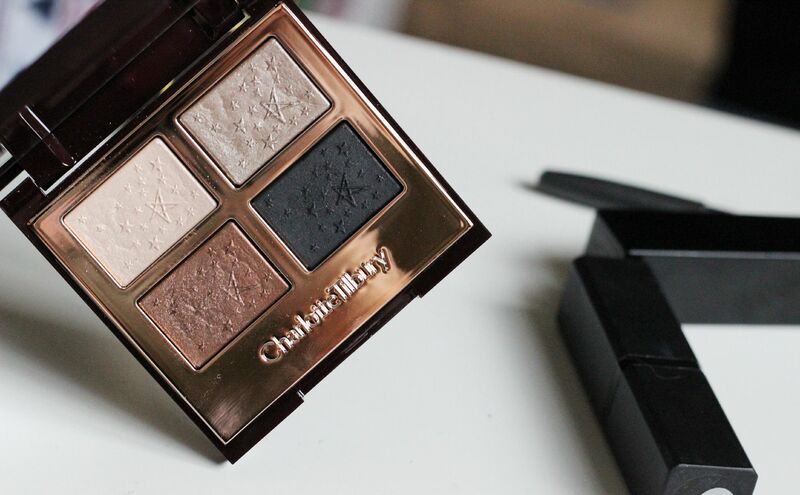 The formula though… this is definitely a luxury little palette, and if you’re a massive Charlotte fan like myself, get yourself down to a counter immediately. If you’re a neutrals lover (who isn’t? ), you will love this. 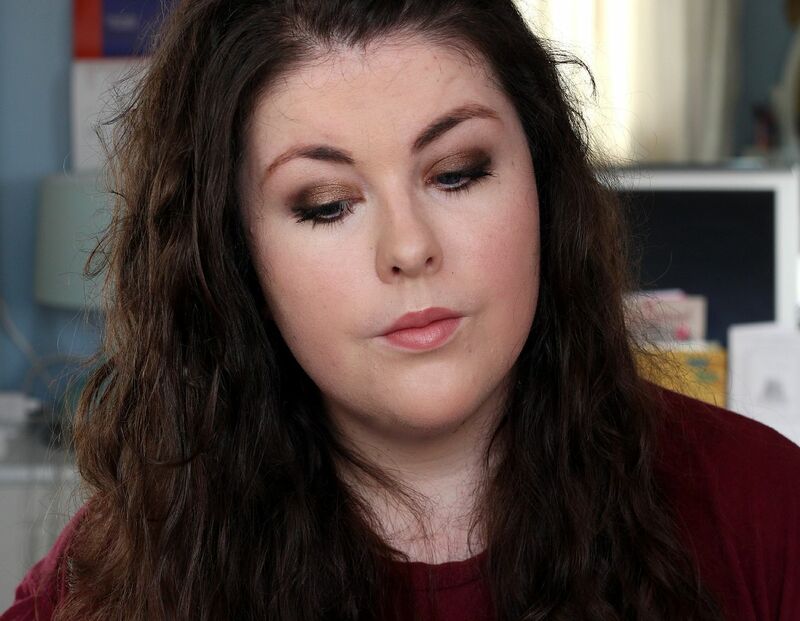 Charlotte Tilbury, MAC and NARS are my favourite shadow formulations… definitely the majority of what I wear all over my eyes.